We started the morning with some cheeky rounds of Karuta which we played with the cards we made together. 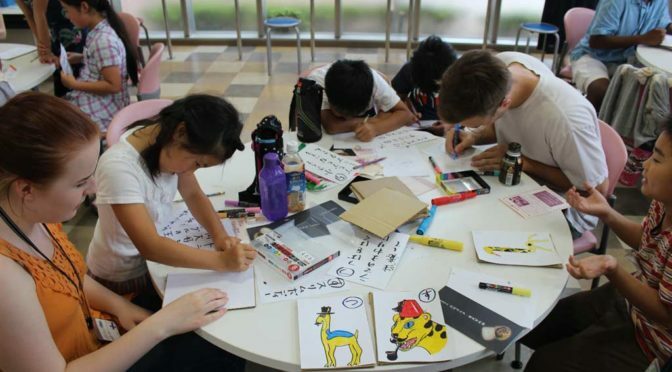 The word “we” refers to us WCI members and the eager-to-play children of the Local organizing committee. Many of us had never even heard of the game itself, so the games were slightly over-powered by the children, but everyone looked like they were having fun all the same. After the games were done, our vast group of many fellows departed together to be able to meet a real katana sword smith. He lives in a rather secluded place, narrow roads and lots of trees, and all of it just added to the mystique. When we arrived, there was a pair of cameramen waiting for us. They were filming material for a tourism video of sorts, and we got to be a part of it. The actual katana experience itself was very exciting. 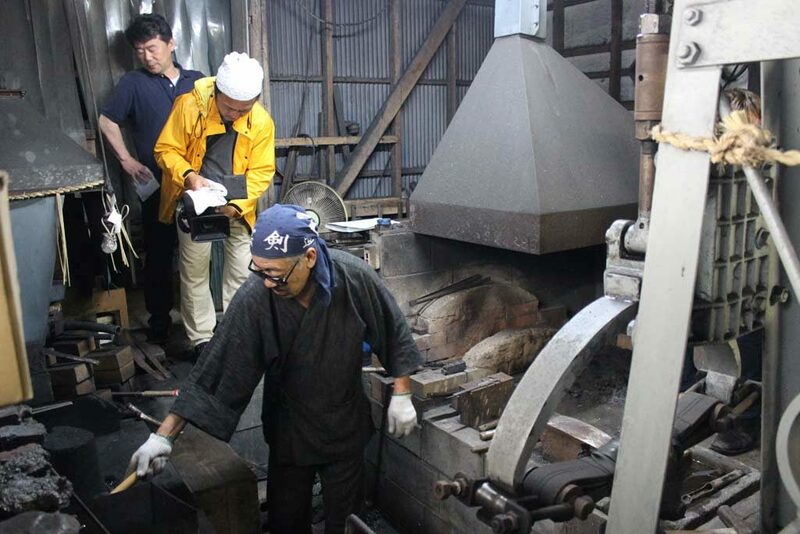 At first, the smith told us about the history of katana, and showed us how he mends the metal. Some of us even got to try smithing – on a separate piece of metal, not an actual sword of course. Then we moved to his Dojo, and he and few others showed us how easily they can cut tatami-mat rolls. Some of us got to try cutting the tatami-mat rolls as well, and some even succeeded in cutting through the tatami. All in all, a very exhilarating day trying activities a normal tourist might not be able to try.